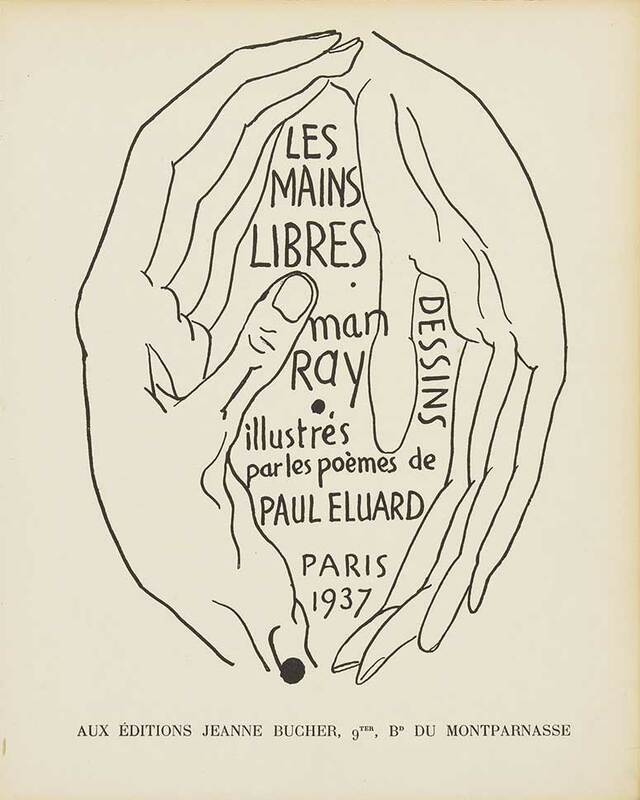 On the occasion of the exhibition Meret Oppenheim Retrospective, presented in 2014, the LaM acquired “Les Mains Libres”, a collection of poems by Paul Eluard illustrated by Man Ray and edited by the Gallery Jeanne Bucher. This unusual book, because a writer illustrates drawings and not the contrary, questions the relations between text and image, as well as the genesis of a picture book. From the funds of the Library Dominique Bozo, the museum and loans, the exhibition presents the book in a surrealist context and focuses on the links of Paul Eluard and Man Ray with the illustrated book. The edition “Les Mains Libres” occupies a unique place in the history of the illustrated book by an inverted use of “illustrations” referring here to the text, not the image. In surréaliste context, Paul Eluard and Man Ray invite us to question the relationship between text and image, and more specifically the link that poetry has with the artists about their power to create the image in every sense of the word. Replacing the edition in the editorial context of the time shows that it goes beyond a simple “inversion”. The book is a complex construction of Paul Eluard and Man Ray’s relations to the art world that emerged at that time.